Meeting at the NYRR Run Center at 6pm and heading to Central Park at 6:15pm! CAT’s Running Categories Select Category group runs Healthy Lifestyle I run nyc Inspiration Member Spotlight Other Personal Story race day Race Reports Races To Run Running Resources Starting to Run Uncategorized Workouts! Race Day Planning For The United NYC Half Marathon! So you are running the United NYC Half Marathon? Congratulations are in order because this race is not easy to get into! Now that you have gotten into the race, running and completing the race is not the only thing that you may have to worry about. Preparing for this race physically, mentally, emotionally and logistically can be a huge task. The version of this course was run in 2018 for the first time, so even if you have run a lot of races in New York City, this race may still be relatively new to you! So I thought I would put this article together for everyone to benefit from the discussions that I had last year in the group. As time goes on I will be updating this post with new developments or changes to the race. This post is heard towards out of towners running the race but there is definitely info in here for native New Yorkers as well. It’s a long read but I think there is something for everyone in here! Getting your bib at the Expo is only the beginning of the fun! Whether you are traveling in from out of town or whether you live here in New York City, you will have to make your way to the Half Marathon Expo. For those that live in the New York City area who are accustomed to picking up their race day bibs at the NYRR Run Center, that will not be an option this time around. Further, you will not be able to pick your bibs up on the morning of the race either! That makes it super important that you plan some time either on the Thursday (11:00am – 9:00pm), Friday (11:00am – 9:00pm) or Saturday (9:00am – 6:00pm) before the race to make it down to the Expo. The Expo is located at 125 west 18th street, New York, NY 10011 (between 6th and 7th avenues). * Note the times listed above for the expo were the times that the Expo was open in 2018. The hours of the expo have not been listed yet but will likely be listed a couple of weeks before the race. It is likely they will be similar but check back here closer to race day for the exact operating times of the Expo! When heading to the Expo, give yourself some time to be there. Getting your bib and race shirt should be quick, but there is usually a lot of fun little things for you to see or do there. A race pacer booth will be set up so that you can speak with race pacers to talk about strategy to meet your desired goal time. I was able to confirm with NYRR that you will be able to pick up a “race pace” bracelet at the expo to help you keep pace with your desired goal time. These are several different bracelets each with a different goal time. The bracelet then tells you the mile splits you will need to hit in order to run that bracelet’s goal target time. Among other things to do at the expo is look for your name on the wall of runners, take some pictures or do some shopping from the racks of merchandise they are sure to have! The official race day gear sponsor New Balance will be on hand and sometimes you can score some free giveaways! Whatever it is, just give yourself some time at the Expo! You won’t regret it! If you can’t fit some time in to get to Expo yourself, there is an option to send someone as your proxy to get your bib. That involves having your proxy bring a copy of your photo ID, with your name matching the name attached to the bib. Your proxy should also have a copy of your race day confirmation form. Your race day confirmation form can be found by logging into your NYRR account. This will be available a couple of weeks before the race so don’t panic about having that yet! While this is an option, you will miss all of the fun at the expo! Know Your Transportation To The Start Line! This is the first year that the course will start in Brooklyn and end in Manhattan. As such you will have to plan out your traveling plans in order to get to the starting line on time! The race is on a Sunday morning which means New York City subways will be operating with less trains than they usually do during the week. Further, the NYC MTA has a tendency of doing a lot of track work on weekends. This means give yourself lots of commuting time if you will be riding the subways to the race that morning. Last year, New York Road Runners Club released a detailed diagram of Prospect Park and where runners will need to go to enter the starting corrals. Based on that diagram below, it looks like the Q, 4 & 5 trains are the preferred subways to take the start of the race. One important thing to note, even though it is advertised that the race will start in Grand Army Plaza, runners will have to enter the corrals on the other side of the park over by Flatbush Avenue & Empire Blvd. Make note of that and make sure you travel to the right location! Traveling to the Grand Army Plaza station will only make you walk all the way around to the start of the corrals. Diagram of the starting line for the United NYC half! One thing that I STRONGLY urge you to do is check out the service advisory section of the MTA website. They are notorious for scheduling track work or other maintenance that can severely affect train service on the weekend. The last thing you want to do is be on your way to the race, only to find out that morning that the train you planned on taking that morning was not working! Plan ahead! To assist with that, the MTA actually has a “Trip Planner” available. This trip planner takes into consideration any service advisories that may be in play that day. I tested this a couple of weeks back when I did my trial run of the course (click here to read my review of the course!). The day I used the Trip Planner, there were service advisories for the subway lines I used that day. The trip planner told me about them and factored them into my traveling time. I got to the starting line to meet my group for the trial run on time with no issues just as the trip planner had planned it out for me! For reference the name of the subway stops you can travel to are in the graphic above. Enter those subway station names into the trip planner along with the station you are traveling from. It works – use it! Aside from subways, NYC taxi cabs, Uber & Lyft are an option. Just keep in mind, traffic to that area will be heavy. Further street closures in Brooklyn leading up to the park may snarl traffic. Give yourself some time if you plan on taking some form of car service to the start! As for driving yourself, I strongly suggest against it. 25,000 people will be heading to the start area. I tried to park at Prospect Park a few weeks ago for a race that only had 5,000 participants and it was chaos on that day! Imagine having 5 times the number of runners and trying to look for parking! Leave your car at home! Many folks will be traveling into New York City specifically for the race. If you are like many of these folks, you might be getting to New York on Thursday, Friday or even Saturday. If you are lucky enough to get in Thursday or Friday, do your moving around the city those days. The St. Patrick’s Day Parade will be held on Saturday March 16th because St Patricks Day falls on a Sunday this year. The Catholic Church will not allow the parade to occur on a Sunday so the parade will be on Saturday instead! With that said, Manhattan is full of parade goers and party goers looking to seek a celebration or two in honor of the famous Irishman! The festivities always seem to end up in an abundance of alcohol being consumed so if you had your heart set on going to a restaurant or bar in Manhattan on this Saturday, just know that it may full of festive party goers enjoying St. Patricks’s Day. Further, getting around town may be tough on the day before the race as the parade route goes right up 5th avenue, smack dab in the middle of Manhattan. As I mentioned, plan your day on Saturday accordingly to work around the St. Patrick’s Day congestion. There is no question that the St. Patrick’s Day Parade is the most popular parade in New York City and one to enjoy if you are ok with having a couple of drinks. But for the person who has trained for weeks in preparation for 13 miles on Sunday, you might want to skip the festivities this year. If you need to unwind with some beverages, seek out hotel bars or lounges who will likely not allow St Patrick’s Day revelers into their establishments. Better yet, by a bottle of wine or a 6 pack and sip comfortably and responsibly in your hotel room if you absolutely must, although personally, I recommend you save it for AFTER the race! What to wear come race day morning? Weather in New York City in the month of March is extremely unpredictable. There have been 70 degree days in March and there have been insane snow storms in the month of March. In 2017, the race was run on the heels of a pretty strong snow storm during the week leading up to the race. The temperature at the start of the race was 30 degrees. In 2018 while there was no snow on the ground, the wind chills had the temperature feeling like 20 degrees. While the temperature could be cold at the beginning, it could warm up rather quickly as the race progresses as well. So how does one dress?? I suggest to wear some layers to the race that you will be comfortable parting with. There are close to 25,000 runners competing in the United NYC Half Marathon. This means that the bag check won’t be close to the starting line. In fact if you look at the graphic of the starting area above, the bag check is before you even enter the secure zone. Think hard about what you want to check in and what you will be able to bring with you thru security and to the starting corral. Keep in mind that you can only check in a clear bag. NYRR wants to see the contents contained in your bag. Also, I have confirmed with NYRR that your bag will be transported via courier to the finish line at Central Park so don’t worry about having to come back to Brooklyn to get your stuff! Check your bag in with confidence! In terms of other items allowed past security, water bottles in excess of one liter will not be allowed. Camelpacks are also not allowed either. To be honest, those likely aren’t even needed. The race course will have a water station just about every mile along with some water stands that will include Gatorade. There is even a “Powebar Gel” station along the Half marathon route! The security check point will include a metal detector and you will pass thru it like you do at an airport. Your cell phone, keys, money, etc., will go in a dish and then they will wand you and you will go thru a metal detector. All of this means that if you’re checking items into the bag check, you will have to do it early to give yourself enough time to get thru security. This could cause your wait in the corral to be anywhere from 30-60 minutes. Going back to how you should dress, you will want to stay warm in the corrals for this period of time. This is where the extra layers come into play. Remember, it will be anywhere between 7am – 8am when runners start since there are two waves. Once your wave starts, you can peel a layer or two off and part with them by placing them in one of the several donation bins that will be lining the starting line area. That’s right, you won’t be seeing those items again, so plan accordingly! Going back to checking in your items at the bag check, one thing to consider when packing your check-in bag, is that it may be cold or rainy this day. Consider packing a dry or warm change of clothes in your check in bag for after the race. The last thing you want to have happen is to be standing around after the race in cold or wet clothes. You can easily duck into a portable john to get out of those wet clothes if you choose after you retrieve your checked in bag. If you despise portable bathrooms like some folks do, you can head over to the New York Road Runners Run Center (320 West 57th street b/w 8th & 9th avenues) which is not too far from the finish line to use some of their changing rooms there. As of the editing of this article, we are still three plus months away from race day. Its impossible to know the weather but I will update this post a week before the race with the 7 day outlook weather wise and what I would wear to the start that day! Finally, the course itself! As mentioned earlier, last year New York Road Runners Club decided to change the course route that had been in effect for several years. The race last year started at Grand Army Plaza in Brooklyn and finished in Central Park. The reason for the change is because the race is getting bigger each year and they are looking for a wider course and one that has a larger finish line and finish area. Logistically also, finishing in Central Park allows them to keep the finish area open longer so that runners don’t have to worry about having to finish their race under a certain time. The course map is just above. If you have run this race before you will notice that this course has a lot more hills than the previous version of it. What make it worse is that a lot of the hills are towards the end of the race. If you look at the elevation chart at the bottom of the below graphic, miles 8 thru the end of the race are a series of climbs most of them which will be in Central Park. Just before that there is a stretch of 7th avenue from 42nd street up until the entrance of Central Park which is all up hill. If this stretch may look familiar to those who have run this race before thats because the race used to run the opposite way down 7th avenue after you exited the park. This year, you are running a slow steady climb for 15 blocks before you get into Central Park! If you haven’t thrown in hill work into your training, now may be the time! For a more comprehensive review of the course, you can read the review I wrote up after I did an actual trial run of the course last year. You can find that article here! 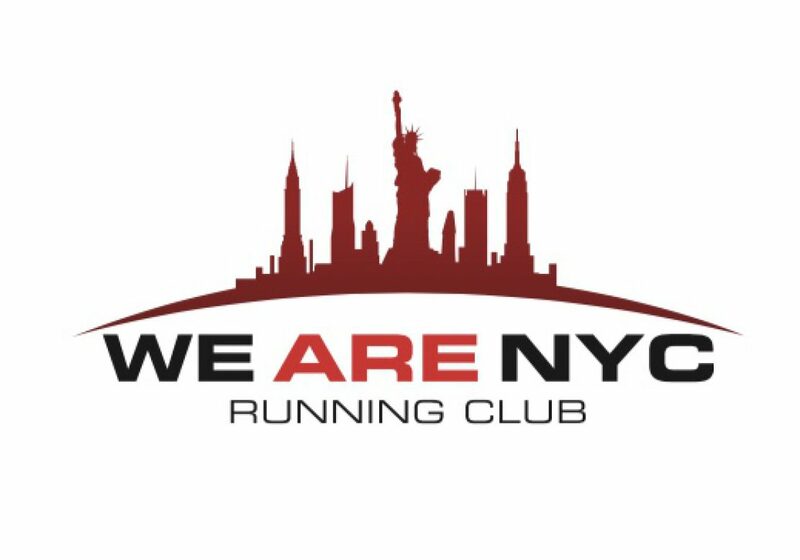 I will be doing another trial run of the course now in January and February along with members of We Are NYC Running Club. Check back on this site for more details on when that will be happening! You made it 13.1 miles to the finish in Central Park – CONGRATULATIONS! You’re not done yet! Once you are done with the race, you will still have about a half mile walk. During that walk, family will not be allowed in this half mile are as it is considered a “runners only” area. Family can watch you finish the race during the last mile. See the graphic above and note that they can enter the park on the west side the park via two entrances. They will not be able to meet you however on there other side of the finish line. Once you have crossed the finish line, you have approximately a half mile walk that will lead you to the southern exit of the park close to Columbus Circle. I highly suggest, that you meet with family away from the park after the race. The area around Columbus Circle will be pure chaos. During your half mile walk you will get your recovery bag, water, and of course, your well deserved medal! There will also be stations set up to take post race pictures with your medals or your friends. Medical tents and bathrooms will be available during this half mile walk as well. It may be a half mile, but trust me, it will pass by really quickly! Speaking of medals, make sure to get your medals ENGRAVED after the race! I confirmed with NYRR that medal engraving will be available immediately after the race at the NYRR Run Center on Sunday from 10am – 5pm. If you are not in the mood to stand on line to get your medal engraved after the race, medal engraving will also be available at the run center on Monday 3/18 from 12pm – 7pm and on Tuesday 3/19 from 4pm – 7pm. Unfortunately medal engraving is only for NYRR members. However there is nothing stopping you from becoming a NYRR member before the race to not only take advantage of free engraving but to also take part in their future races. Of course as an alternative to all of this, you can also get your medal engraved else where. I am a stickler for logistics. I put this together because so many of you worked hard to prepare for this race and I don’t want to see you throw it away because you thought you could pick up your bib on race day morning or you took the wrong train to the start or your dressed incorrectly. You deserve better than that! Now go out there are crush this NYC Half Marathon! If you found this information helpful, then I am glad I could help. As I mentioned earlier, if you happen to be running either the Popular Brooklyn Half Marathon or TCS New York City Marathon, I have similar group discussions going on now. Here is the one for the Brooklyn Half and here is the one for TCS NYC Marathon Why not join these groups and get in on all of the information being exchanged there! This race is definitely on the bucket list. Love that medal!! It’s a hard one to get into but keep giving it a shot!! If you live in the NYC area there is an easy way to get in! Unfortunately I’m all the way over on the west coast. Several of my friends have got in through the lottery…so maybe someday!! I’m not, I’m over on the west coast. 🤦🏼‍♀️ Several of my friends have made it in through the lottery sooo…fingers crossed! Thank you!!!!!!!!!!!!! This is great and so helpful. Can’t wait for March! I didn’t get in for the first time in 3 years after not getting into the marathon for the first time in 2 years. I’m feeling a little less love from the Big Apple but I’ve discovered there’s lots of other races that weekend, so maybe its time to change my March travel routine. What time do you need to show up at the start? I can take a Q line straight there but need to know how much time to allow. Thanks. Hey Trent! Sorry took a little social media break for the holiday! I would check the MTA trip planner first to see if the train is running . There tends to be a lot of construction on the weekend. If all is ok how much time you need really depends on where you are coming from? I guess what I am asking is how early do you need to be there to get in the corrals. Once I know that then I can back track time to the hotel. I will be coming from the Reaidence Inn bear Central Park south.